Yep, it’s been a long winter but all this rain and snow are going to make for high water conditions on Valley rivers like the Sacramento and Feather this spring. 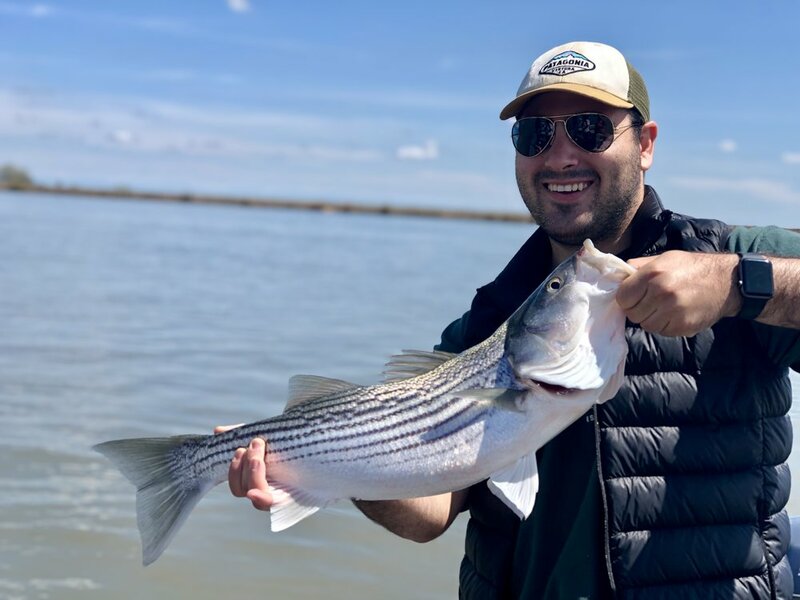 Big water usually means epic striped bass fishing and I’m so ready! Fishing will pick up as soon as the water clears and we should have outstanding light tackle action into May! I have a limited schedule left so please get in touch soon if you’d like to get out this season! It’s been a pretty decent steelhead season in the Valley but it’s winding down. 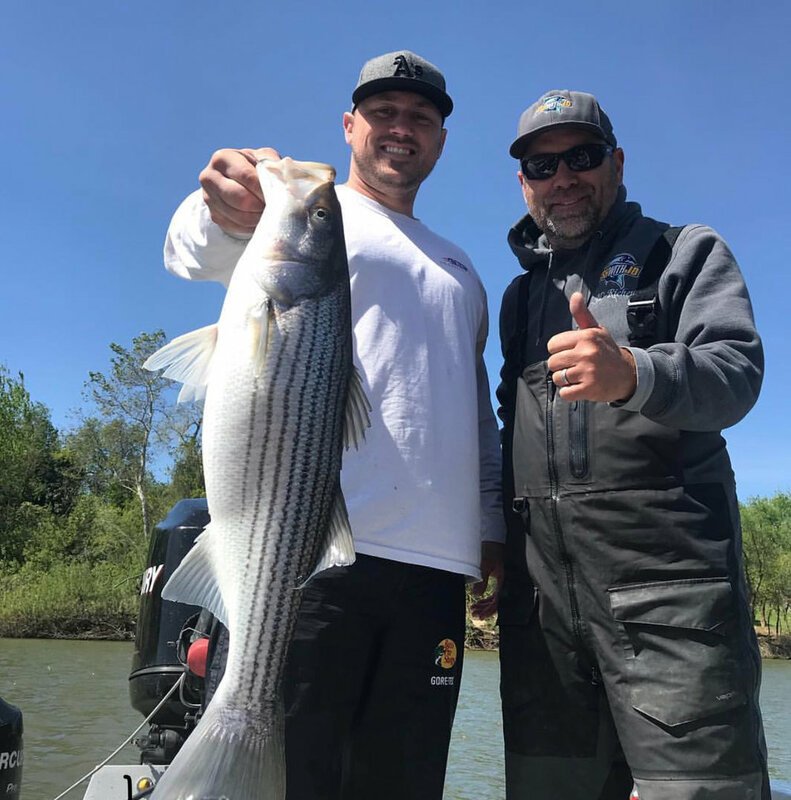 The exciting thing is we have tons of water this winter which usually means we’ll have a banner spring striped bass season in the rivers! 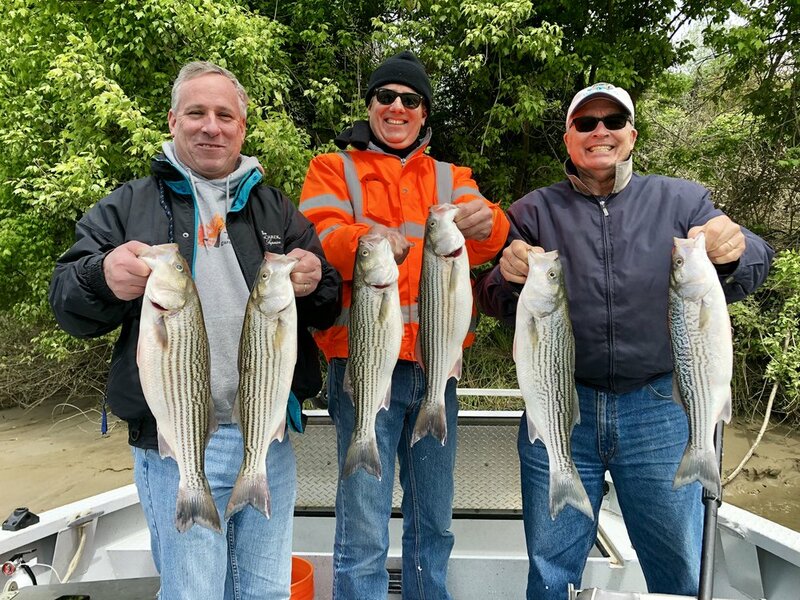 Now’s the time to get your Striper dates for April locked in! Steelhead Trips start Jan. 1! The upper ends of the American & Feather rivers open to steelhead fishing Jan. 1 and that is the official kick-off to my winter steelhead schedule. What’s nice about these local fisheries is you can go chase chrome steelhead without having to make the long drive to the North Coast. Even from places like Fresno and the Bay, you go fishing and be home all in the same day instead of two or three that it takes to go north! 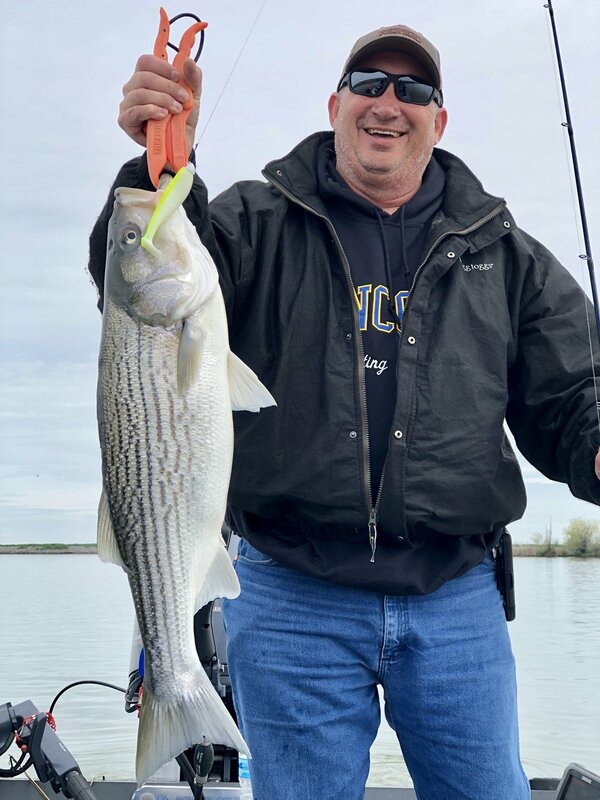 With the big rains before Thanksgiving, the salmon bite died and we have since moved onto stripers and sturgeon in the Delta. 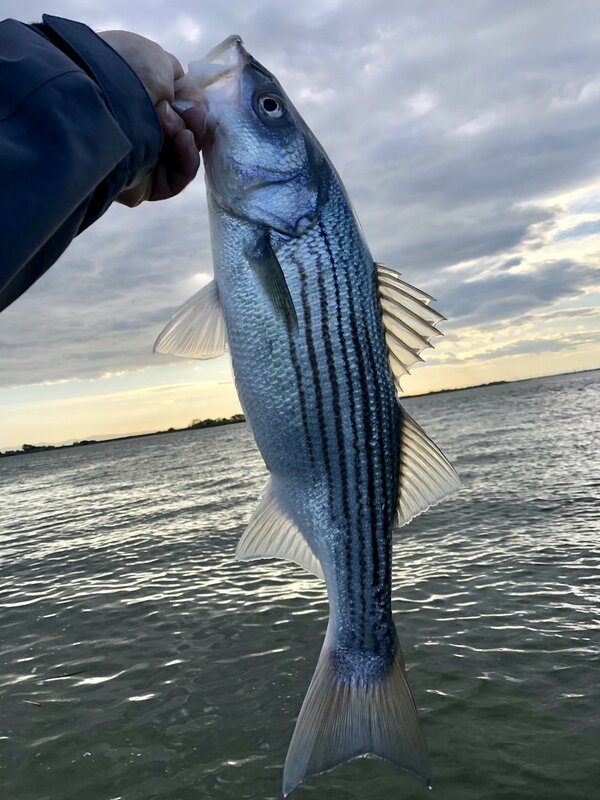 The Striper bite was very good up until a few days ago, but the cold front slowed things down a bit. With the rain in the forecast, the water should warm up and that will get the bass on the move again. The grade of fish has been really nice too! Sturgeon fishing is just getting underway and as soon as we have a nice shot of mud, the bite will pick up! 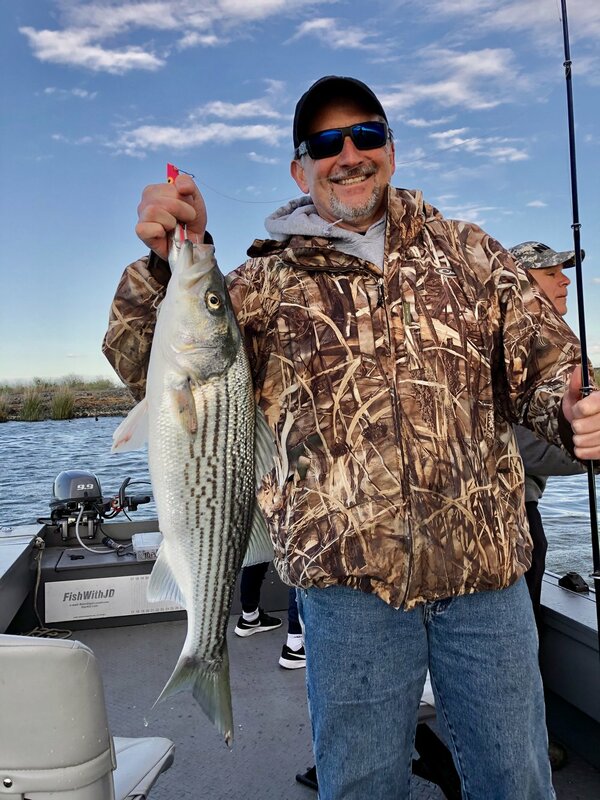 After the ugly winds earlier in the week, the salmon fishing on the Sacramento River started producing again, starting on Halloween when the weather was calm. We continue to get fish on the troll with spinners, plugs and Brads Super Cut Plugs. With no rain in sight and fish still being caught in the ocean, we should see action well into mid Nov at least. My favorite fish of the past several weeks was the one below...young Matt Rosburg (with pops and grandpa) with his first ever salmon. Matt expertly fought this beauty to the boat and even assisted on the cleaning of it. To get to come on the trip, he had to get his school work all completed and, I’m the nick of time, he got it done. Hard work pays off! Great job, Matt! Sac Kings Still going Strong! The Fishing remains super good right now and we are also seeing some good fish in the mid-20 pound range to close to 30 each day! I’m taking 10/29 & 10/30 off due to scheduled 40 mph winds but will be back after that. I do have some room on Halloween Day if you want to go. Valley Salmon Fishing’s been Hot! The king salmon fishing in the Sac Valley has been very good lately and we have seen limits every day out recently. Whats also exciting is the fact that the fish are good sized too, running up to 25 pounds. We should see good action for the next several weeks! Trinity Salmon & Steelhead Good. Trinity River salmon & steelhead fishing has been amazingly good this past week for me!! The kings are chrome bright And there are lots of ‘em! We’re also seeing at least a couple nice adult steelhead per trip. Ill be back fishing the Sac Metro Area for salmon mid October, so hope to see you then! The salmon bite in the Sac and Feather Rivers has been steady lately and we are poised for our best fall season in recent memory! The other exciting news is the fish are of good quality, too, averaging a solid 18 pounds with larger ones showing up as well. The ocean is still pumping out excellent action too so all signs are pointing to an excellent season through November! I am headed for the Trinity and then will be back in action on the Sac with our brand new sled in Oct! Based on how stinkin’ many kings have in the ocean this summer, our Sacramento, American and Feather river salmon scene this fall should be some of the best we have seen in years! I’l be chasing Valley kings most of October and November and those fish are typically chrome bright and full of fight. Get in touch with me or Tamara soon to guarantee a spot! Trinity Salmon/Steelhead Trips coming soon! I’ll be on the Trinity once again, fishing the amazing canyons for salmon & steelhead in September and October out of the drift boat. I have a few select dates left, which include Sept. 17-20, & Oct. 3. Let me know ASAP if you’d like to get in on the fun! I’m back from another king season in SW Alaska. The water was high all month and the fishing was really fun! Lots of gorgeous kings, plus sockeye, chums, pinks, dollies, rainbows and even an early silver or two! Please let me know if you’d like to fish with me up there in 2019! I’ll be guiding in Alaska from June 20 until July 20 so no local fishing...looking ahead to the fall, however, salmon fishing is excellent on the ocean right now so we just may have a good in-river season. I’ll be on the Sac, Feather, Trinity and Klamath Sep-Dec with my brand new sled! Ill try to post pics from Alaska when we have WiFi. Shad fishing, just as I predicted, got really really good when the weather heated up. 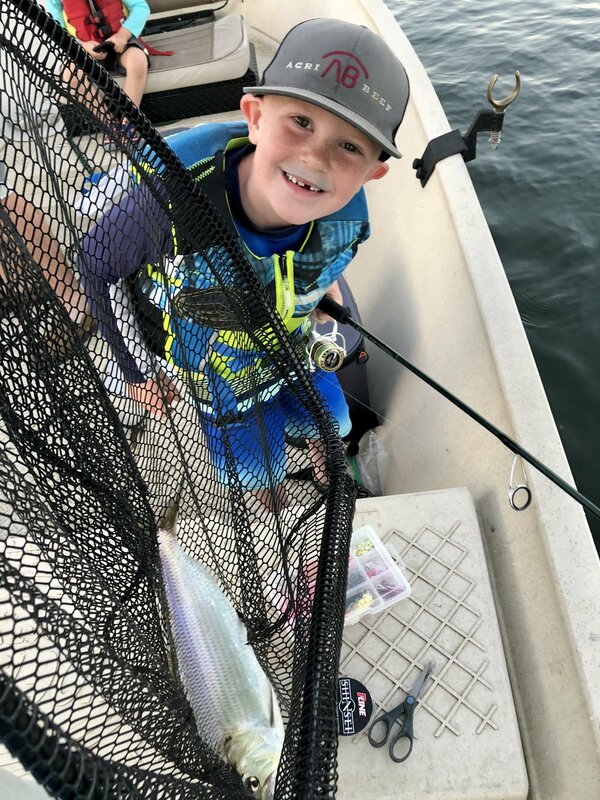 Fishing is best in the evenings and the bite should go at least another couple weeks because we are still seeing fresh, purple-back Shad moving in! I run half day evening trips through June 19 so hop onboard if you want to get into some drag-burning fun! The shad fishing on the American has been great one night, a little tougher the next because of all that cool, windy weather we had last week. 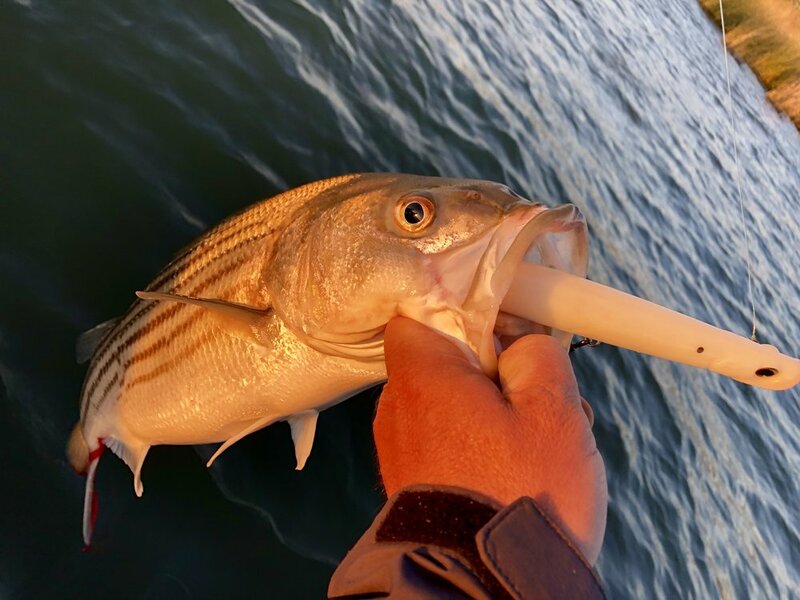 The fish are here and the bite should really pop starting Monday, when temperatures are forecasted to get into the mid-90’s. Shad love hot, stable weather so this week should be great! Last night we found a pretty steady bite and the fish are all still beautiful and fresh!